Vitamin E is also used for treating diabetes and its complications. It is used for preventing cancer, particularly lung and oral cancer , polyps; and gastric, prostate, and pancreatic cancer. Vitamin E used for diseases of the brain and nervous system including Alzheimer’s disease and other dementias, Parkinson’s disease, night cramps, restless leg syndrome, and for epilepsy, along with other medications; also used for Huntington’s chorea, and other disorders involving nerves and muscles. To lessen the harmful effects of medical treatments such as dialysis and radiation. It is also used to reduce unwanted side effects of drugs such as hair loss in people taking doxorubicin and lung damage in people taking amiodarone. Vit E for Medical Problems: like cataracts, asthma, respiratory infections, skin disorders, aging skin, sunburns, cystic fibrosis, infertility, impotence, chronic fatigue syndrome (CFS), peptic ulcers, for certain inherited diseases and to prevent allergies. Apply vitamin E to skin to keep it from aging and to protect against the skin effects of chemicals used for cancer therapy (chemotherapy). Did u know Vit E is also good for HAIR GROWTH & HEALTH!!! 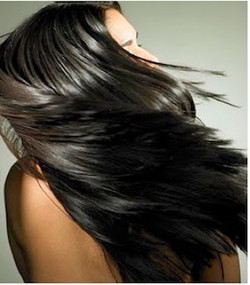 Vitamin E supplements: Take vitamins orally to help promote hair growth. Vit E is known to increase capillary growth, hence circulation & hair growth; it prevents hair loss & heart problems. It prevents split ends, help heal hair damaged by excessive use of a hair dryer, and cure dry hair/scalp as well. VITAMINS are essential for growth and development of your body. Fruits and vegetables, sea foods, etc are rich sources of vitamins & minerals.